With the infrastructure to manage storm water threats in cities becoming increasingly expensive to build or repair, the design community needs to look at alternative approaches. 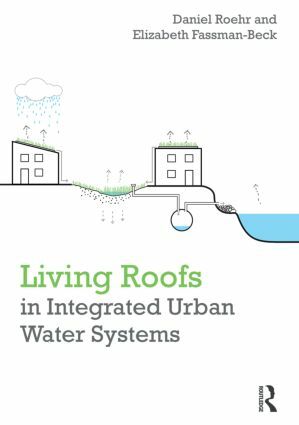 Living roofs present an opportunity to compliment ground-level storm water control measures, contributing to a holistic, integrated urban water management system. This book offers tools to plan and design living roofs, in the context of effectively　mitigating storm water. Quantitative tools for engineering calculations and qualitative discussion of potential influences and interactions of the design team and assembly elements are addressed. Daniel Roehr is an Associate Professor at the University of British Columbia School of Architecture and Landscape Architecture in Vancouver, Canada, a registered landscape architect in Vancouver and Berlin and a horticulturalist. Roehr has designed and researched living roofs for over twenty years with his most significant work being the ground-breaking water sensitive living roof design of the DaimlerChrysler project Potsdamer Platz in Berlin, Germany. Elizabeth Fassman-Beck is an Associate Professor in the Department of Civil, Environmental, and Ocean Engineering at Stevens Institute of Technology in Hoboken, New Jersey, USA. She has worked extensively with regulatory agencies to develop evidence-based technical and practical design criteria for stormwater control measures. Her former research team in Auckland, New Zealand developed the first living roof design guidance prioritizing stormwater management.